It’s easy to feel a little lonely when you work for a small, locally owned company because you think that no one else knows your struggles – that you’re the only one facing these problems, there’s no one to turn to, there’s no one out there that can relate. Admittedly, I’ve felt that way before…but boy was I wrong. Enter – The IdeaBank. An exclusive group of broadcasters (read: family) that work together to generate ideas, solve problems, and altogether spur one another on toward success. 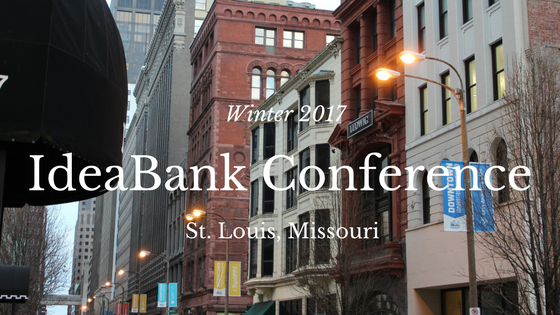 I, along with several members of the Woof Boom sales staff, had the wonderful opportunity to attend the Winter 2017 IdeaBank Conference in St. Louis, Missouri this past weekend where we learned just how wrong we were for ever feeling alone in this industry. The conference room at the Drury Inn and Suites was FILLED with general managers, sales people, station programmers, on-air people, marketers, sports broadcasters…every position that could be held at a locally owned radio station was represented in that room. And it was refreshing. That weekend, we spent our time listening to successful people in markets JUST LIKE OURS that have grown and flourished and credited it all to their employees, their clients, and their partners in the IdeaBank. We made connections, shared our experiences, and lit our fingers on fire while trying to take notes as fast as we could as person after person shared brilliant ideas for promotions and sales tactics that worked in their markets. It’s not often that you pull off a 7 day work week (with a 10 hour round trip travel-sesh RV style in there) and feel completely rejuvenated by 8:30am Monday morning when you’re back at your desk…but that’s exactly how we felt. So here’s to the IdeaBank, for taking a risk and letting J Chapman into their ranks, so that we could have a chance to be a part of something much bigger. 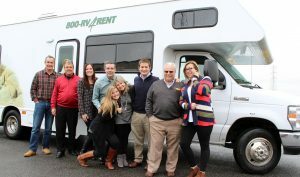 We were the talk of the conference after rolling up in this RV!